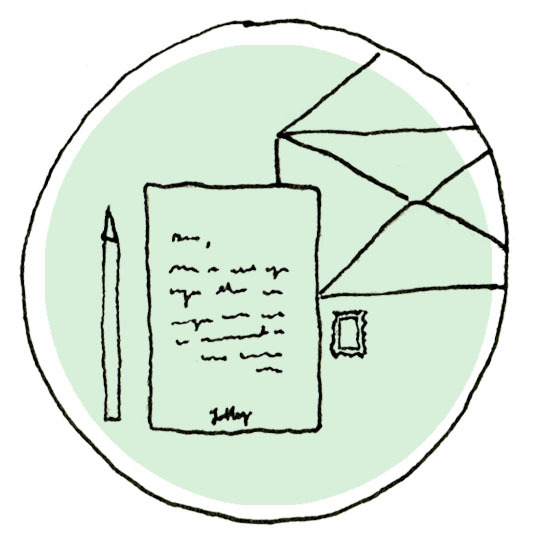 A few days later, your recipients receive their handwritten notes and turn into lifelong customers. There's no better way to make a lasting impression. We know that it's difficult to stand out to customers in the internet era. People are constantly bombarded by direct mail, display ads, cold emails, and more. We knew there had to be a better way to help businesses increase their sales while also creating a less annoying and disruptive way for businesses to introduce themselves to customers. And thus the concept for Letterly was born. Handwritten cards are a dying art, so we decided to bring them back. Our mission is to reduce the headache of sending handwritten notes to clients and leads by offering a simple ordering process, flat price, and customized cards. All cards are handwritten by a real person (i.e. not a machine) and sent via USPS First Class Mail. Your lucky recipients will have their cards in hand within a week and you'll wonder how you never did this before! We proudly ship anywhere on earth! Moon deliveries coming soon. How long does my letter take to arrive? We mail everything via USPS First Class Mail. The average time for a letter to go cross-country is 4 days, but that can vary. Sometimes letters arrive in a day and sometimes 2 weeks. Once the letter leaves our hands, it's up to the trusty USPS, so be sure to send your Letterlys early! Please allow additional time for international orders. How quickly will you mail my card? Turnaround time and pricing depends on the number of cards, location of recipients, and length of message. We'll work with you to create a campaign that matches every single one of your objectives, while providing an incredibly competitive rate. How much do custom cards cost? Pricing depends on a variety of factors. Reach out to our team for a custom quote tailored to meet your objectives! Can I include my own logo or branding? Yes! We're in the business of personal touch and pride ourselves on providing custom solutions to meet our clients' needs. Whether it's including your logo or branding, full-page images, or custom designs, Letterly will create a personalized plan for your business. Have your own stationary? Send it on over and our team of expert letterwriters will do the rest! What other types of custom orders do you do? We love creating custom cards for our customers! Whether you need to send Thank You notes to potential clients or you want to thank 500 wedding guests for being with you on your special day, we're happy to work with you to create the perfect card for the occasion. Want to include items like gift cards or business cards with your letters? Not a problem! Minimum of 50 cards for custom orders.